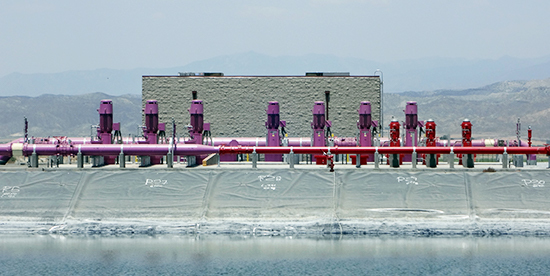 The San Jacinto Valley Regional Water Reclamation Facility (SJV RWRF) Expansion – Title 22 Tertiary Treatment Upgrade and Plant 2 Facilities Project is located at the existing RWRF site. The project is the latest upgrade and expansion project at the fully-operational SJV RWRF. The goal of the Project is to upgrade the existing tertiary treatment facilities to meet Title 22 standards and expand the existing Plant capacity from 11-MGD to 15.4-MGD (maximum 30-day average flow). The existing facility remained fully operational during construction of the entire project without a single unplanned outage. The SJV RWRF expansion project is divided into two design packages that are combined into one project; Title 22 Tertiary Treatment Upgrades and Plant 2 Expansion with Plant 1 Modifications. The Project upgrade on the existing tertiary treatment facilities was completed to meet Title 22 standards and expand the existing Plant capacity from 11-MGD to 15.4-MGD (maximum 30-day average flow).